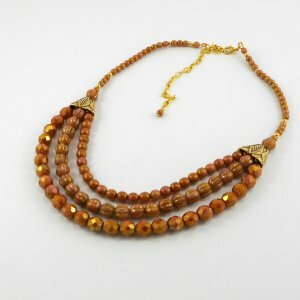 The colour, length and style of this gorgeous necklace are sure to make it a regular “go-to” item in your wardrobe. 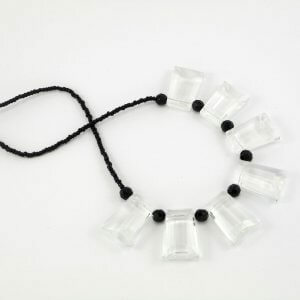 Graduated from 20mm, 16mm, 14mm, 10mm and 8mm these gorgeous Czech fire-polished faceted glass beads are separated by smooth silver rounds which are also graduated in size. This classical piece in black and silver is approx 56.5cm long and finished with a lobster clasp. Wire guardians and crimp covers give the design a polished finish.